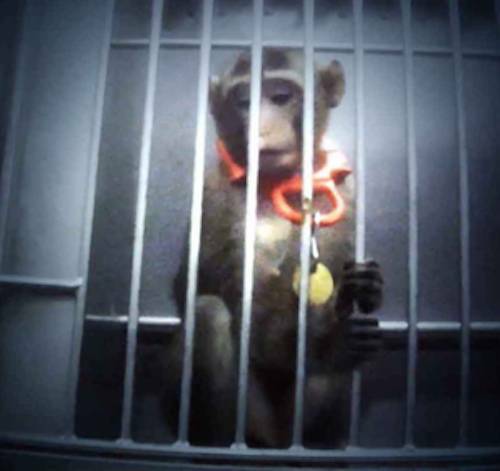 Evidence shows that animal tests have little predictability, with a shocking 92% of successful animal trials failing during human clinical trials according to the FDA. Critical differences in the physiology, genetics, and anatomy of animals and humans lead to misleading safety data that frequently places human lives at risk. Billions of tax dollars are wasted each year on research that is not only cruel, but largely ineffective and obsolete. Last week, the World Congress on Alternatives and Animal Testing convened in Seattle and held discussions on emerging alternatives to animal testing. Researchers presented on groundbreaking advancements in in-vitro modeling that could drastically reduce the use of animals in inhalation toxicology tests, developments in reconstructive tissue models, and strategic methods of changing government protocols to reduce the minimum number of animals required per test. For over 30 years, LCA has worked tirelessly to expose the cruelty of animal testing and promote alternative methods of research. This year LCA released footage from our 2016 undercover investigation at ITR Laboratories Canada (“ITR”), a US government-contracted animal research facility that performs tests on beagle dogs, mini pigs, and macaque monkeys. The LCA investigator documented animals being thrown, slammed, suspended by their ears and limbs, and struck with such severe force you can actually hear the impact in the recordings. 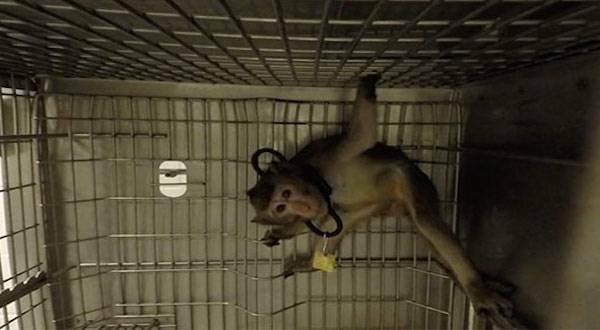 LCA’s footage shows how monkeys and mini-pigs desperately struggled to escape as they were subjected to forced feeding, forced inhalation, physical restraint, and the infliction of painful burns, all while in full view of other animals. This indefensible abuse is not isolated to ITR —suffering and neglect are ubiquitous in the animal research industry, which subjects an estimated 100 million animals to experimentation each year. Researchers attempt to justify the use of animals in science by deceptively portraying it as a necessary evil that is crucial to saving human lives. However, many scientists are proving the efficacy of numerous alternative technologies in producing reliable data without harming animals. Additionally, evidence shows that animal tests have little predictability, with a shocking 92% of successful animal trials failing during human clinical trials according to the FDA. Critical differences in the physiology, genetics, and anatomy of animals and humans lead to misleading safety data that frequently places human lives at risk. Billions of tax dollars are wasted each year on research that is not only cruel, but largely ineffective and obsolete. 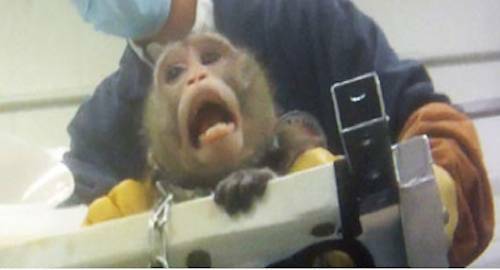 Animal research is one of the worst forms of systemic animal abuse; it callously sentences animals to a lifetime of torture, while failing to use time and resources most effectively to benefit human health. LCA will continue to fight for the rights of animals in laboratories and we are thankful for the scientists working tirelessly to create alternative methods. Public awareness of the cruelty and futility of animal research is growing, and millions of animal lovers across the globe are pledging to only purchase cruelty-free products. In addition, two current bills have the power to create meaningful change for animals in research—The Humane Cosmetics Act will end the testing of cosmetics on animals in the United States, and the PUPPERS Act will end the use of dogs in VA research institutions.